Dubai is full of numerous attractions and leisure sites. Due to this reason, every year tourists visit this state of United Arab Emirates in huge numbers, so they could enjoy their holidays in this mystical land. Although, it is hard to pick one leisure site or attraction in this city, but one of the top tourist destinations in this desert are the three ice skating venues, which are ideal venues to spend a hot day in Dubai. These ice cold venues are ideal for ice skating and are different from each other in their own way. To learn more about these best ice skating places in Dubai, you need to go through this piece of writing. This is one of the hidden ice skating venues of Dubai, as Al Nasr Leisureland offers variety of leisure time services in the locality of Oud Metha, Dubai. Therefore, it attracts sportsmen, who are involved in various sports such as bowling, boxing, football, squash, swimming and tennis, aside from ice skating. 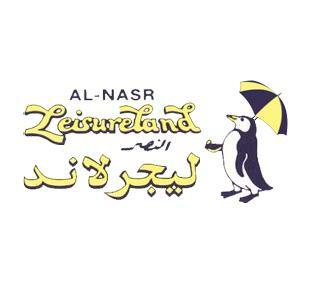 The service provided by the friendly staff members of Al Nasr Leisureland is also highly rated, as they are pretty accommodating and well mannered. This makes Al Nasr Leisureland an ideal venue to spend terrific leisure time. 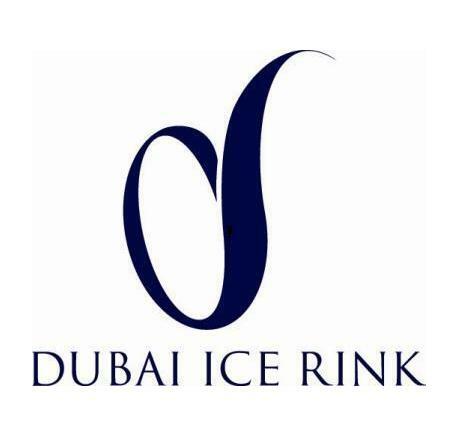 This ice rink sits in one of the biggest shopping malls that is called the Dubai Mall and it is located in the famous locality of Dubai known as Down Town. The best part about this ice rink is that it’s proportions are even bigger than a Olympic size rink. 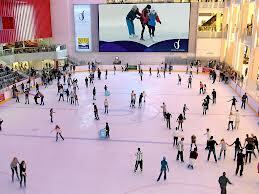 This gives Dubai Ice Rink an edge over the other rinks in the town. Moreover, the wonderful and chilled atmosphere of this complex also makes it quit alluring therefore people come here not only for ice skating, professional training or playing ice hockey, but to socialise as well. Galleria Ice Rink is another famous ice skating facility in Dubai that is to be found in the famous Hyatt Regency Dubai Hotel. This cold place is not only favourite among the tourists, but locals also keep this site packed, especially on the weekends or when weather is too hot. Galleria Ice Rink is the oldest ice skating facility in Dubai, as it was developed way back in 1980. Due to this reason it allures visitors from all corners of the city.